Professor Emeritus Basil Roufogalis, of the Discipline of Pharmacology, School of Medical Sciences, Sydney Medical School, the University of Sydney, joins NICM as an Adjunct Professor. His current study investigates overcoming multidrug resistance in cancer. Professor Daniel Chan is Head of Aged Care and Repatriation at Bankstown-Lidcombe Hospital. Professor David Briggs was appointed an Adjunct Professor in NICM in 2006. He is a member of NICM's Research Committee, the International Advisory Board on Hong Kong Chinese Materia Medica Standards, and the WHO Expert Advisory Panel on Traditional Medicine. Appointed in 2016 as a NICM Adjunct Fellow, Dr Debra Betts brings a wealth of knowledge with over 25 years' experience in the field of acupuncture, nursing, midwifery and women's health. She lectures internationally on the use of acupuncture in obstetric care and is the Director of postgraduate programs at the New Zealand School of Acupuncture and Traditional Chinese Medicine. Professor Gerry Bodeker researches and advises on international public policy on traditional, complementary and alternative medicine. An Australian, whose doctoral studies were at Harvard, he holds academic appointments at Oxford and at Columbia University in New York. Jane Lyttleton began her studies in science in New Zealand and then at Guys Hospital in London with doctoral studies in genetics before applying herself to the study and practice of Chinese medicine (in Australia and China). Dr Jennifer Hunter became an Adjunct Associate Professor at NICM in 2018. She has been an active health services researcher with NICM since 2014 and is a primary-care integrative medical practitioner with over 25 years of clinical experience. Associate Professor Hunter is highly regarded in Australia and internationally, providing advice on integrative medicine guidelines and research, and expert consultation to the World Health Organization. Dr Liu is a Professor at the Beijing University of Chinese Medicine, where he is head of the Evidence-Based Chinese Medicine Center for Clinical Research and Evaluation and Professor in Clinical Epidemiology. He is also a visiting Professor at the University of Toronto. Dr Kate Levett is a research specialist, with over 15 years' experience in public health research, education, clinical trials, epidemiology and management. She has extensive experience in quantitative and qualitative research application and education, with awarded presentation and public speaking skills, published in peer reviewed journals. Professor Chan is a Chartered Biologist (UK), Clinical Pharmacologist (UK and USA) and Registered Pharmacist (UK). He is a Fellow of the Royal Pharmaceutical Society of Great Britain; the Society of Biology, UK; the Royal Society of Medicine, UK and the American College of Clinical Pharmacology, USA. Professor Kerryn Phelps AM is also an Adjunct Professor at The University of Sydney's Faculty of Medicine in the School of General Practice and Conjoint Professor at the University of New South Wales's Faculty of Medicine. Kylie O'Brien works as the National Academic Director Complementary Medicine at the Australian Institute of Applied Science (AIAS) and is also an Adjunct Associate Professor at Victoria University where she was previously Associate Dean (Teaching and Learning). Associate Professor Lesley Braun has been at the forefront of complementary medicine research in Australia for many years, and her unique expertise particularly in relation to her well-known textbook, Herbs and Natural Supplements, will assist the Institute in the evaluation and communication of scientific evidence at point of sale and to clinicians, and in developing our media communications. In addition, she is involved in facilitating clinical research. She has worked closely with NICM since its inception. Dr Michael Dodson is Medical Director at Blackmores Institute and joins NICM as an Adjunct Associate Professor. He is a medical graduate of the University of Melbourne and has completed a PhD and Masters degrees in public health and health management. Michael has extensive experience in the regulation and evaluation of complementary and non-prescription medicines. Michael Smith is trained both as a pharmacist and a licensed naturopathic doctor (Ontario, Canada). A graduate of the Canadian College of Naturopathic Medicine, he played an active role teaching courses in botanical medicine and pharmacology as well as for two years being the Associate Dean of Research. 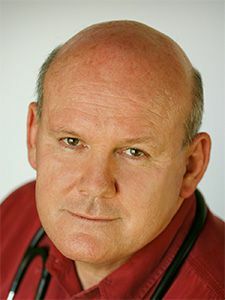 Professor Stephen Myers is a complementary medicine expert and commentator, a research consultant to the Blackmores Institute, adjunct and spokesperson for NICM and recently the Director of the NatMed-Research Unit within Southern Cross Plant Science at Southern Cross University. Dr Susan Arentz joined NICM as an Adjunct Research Fellow in 2017 specialising in women's health and infertility. She is an experienced naturopath, nutritionist and researcher. Dr Philip Norrie is a family doctor and researcher with a focus on preventative medicine using Reservatrol Enhanced Wine and showing the role of infectious diseases on the demise of ancient civilisations. He joined NICM as an Adjunct Research Fellow in 2017. Associate Professor Vicki Kotsirilos AM is a respected general practitioner with over 30 years of clinical experience. She holds adjunct associate professorial positions with NICM and La Trobe University's Department of Dietetics and Human Nutrition, Faculty of Health Sciences, and formerly with Monash University.